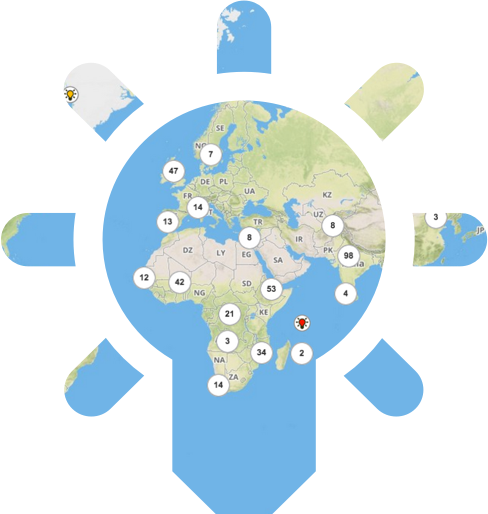 Connecting and collaborating with others is easy on weADAPT - you can connect with other people working on projects in your field or region and get information about your project published so others can find you. On weADAPT, you can connect to people and organisations. Whether you would like to ask a particular question about a content contribution or explore opportunities for collaboration, accessing member and organisation profiles allows you to explore their professional websites and LinkedIn profiles or directly message them through weADAPT (in the case of members). The directory of people and organisations is accessible through 'Connect' at the top left of the page, under 'People' or 'Organisations'. You can message members that have accepted to be contacted through their profile page, by cliking on 'Contact Member'. You can comment on articles and case studies on weADAPT through the comment section found at the bottom of the page. You will need to be logged in to submit a comment. After having done so, type your comment, validate the CAPTCHA and click 'Submit Comment'. Your comment should be immediately available to be seen on the page, but will not be publicly visible until approved by a moderator. You can also choose to subscribe to the discussion and receive updates when comments are added to the section you have just commented on. To do so, just tick the box under 'Subscribe to this discussion'and click 'Save'. The discussion forums are available for both general and theme-specific discussions related to climate change adaptation. They are accessible through 'Connect' at the top left of the page, under 'Discussion Forums'. You can navigate the forums available by clicking on their name. Adding content to a discussion forum is as simple as commenting. Use the comment section on the forum page and click 'Submit Comment' when you are done. Also, each Theme and Network have their own discussion forum, accessible through their respective pages, through the top-right corner of the page, by clicking on 'Ask the community'. To create a new discussion topic, simply choose your forum, and click on 'New Topic' at the bottom of the page. Next, name your topic and choose which forum you will like it to fit under, and add a description. After validating the CAPTCHA, you are ready to add content.